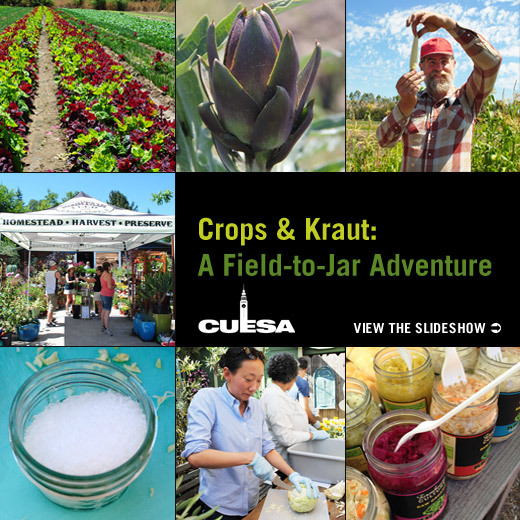 In July 2012, CUESA took a bus of adventurers on a tour to see where heirloom vegetables are grown and learn how to preserve them for later. At Heirloom Organic Gardens in Hollister, they learned how heirloom varieties enhance biodiversity and offer full flavor. Then they took a trip to Mountain Feed & Farm Supply in Ben Lomond to discover the magic of sauerkraut making with Farmhouse Culture.